Players of CryptantCrab can now customize and trade their crabs with the release of the new key gameplay features – Mutations and Xenograft. Both will add a boost to player interactions as they mutate to grow and improve their CryptantCrab fighting prowess. This will also encourage players to be active in the community as they discuss trading offers within the Marketplace. After all, this is the best place to obtain the crabs they need. With Mutations, it provides a touch of risk and reward to players as they transform a part into a different and possibly stronger one. By performing continuous mutations on a single part, players will also gradually increase their chance to obtain a coveted Legendary appendage. As for Xenografts, this feature transplants specific parts from other crabs onto prized fighters or collectibles. In most cases, this is more suitable for those who want predictable results and have plans to complete crab sets or create truly customized ferocious fighters. As a blockchain game, CryptantCrab is set to further expand its universe with these new player interactions and crab enhancement functions. Beyond allowing players to add to the crabs’ battle potential, these features will also improve the equally as important overall market value. 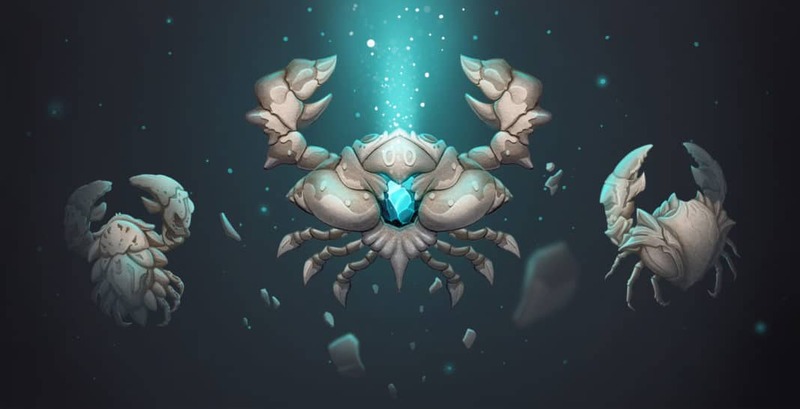 There will certainly be increased demand for every type of CryptantCrab as Xenograft will encourage players to complete sets and whatever combinations they have in mind. Complete sets with Legendary stats are the most valuable as they sport enhanced stats that will be crucial in determining victory or defeat. With Xenograft, iCandy Interactive will also offer players the chance to generate additional tradable value within the game’s ecosystem. As crabs have their parts grafted away, they turn into Fossils and open a new dimension for the Marketplace. With Fossils and their rarer Relic forms also provide another purpose – add-on enhancement boosts when equipped onto Crabs going into battle. This diversity will amp up active trading in the ecosystem as Fossils and all crabs in general are now highly coveted. This is necessary for players who want to advance their standing on all battle fronts. Customizing and trading among players will not only keep the marketplace active, it will also significantly boost the crabs’ market value. As they mutate or get newly grafted parts, these hard-shelled fighters also gain experience points and level up. This will raise their battle stats and give them a starting edge in the fights to come. With big Ethereum prize-pools up for grabs for the upcoming Pool Arena mode, it will be the event most players look forward to as they prepare their CryptantCrabs with all the advantages they can get. Mutations, Xenografts, and the necessary trading will allow players to better prepare their prized fighters to come out on top and take the biggest share of these prize-pools. These immersive gameplay features and the many more to come will continue to push the boundaries for the World of CryptantCrab. As the gameplay experience expands, so too does the value of its assets, gameplay experience, and user ecosystem; all of which will be critical to the success of CryptantCrab. For more information on the Mutation, Xenograft, the Marketplace features and coming battle and Pool Arena modes, head on over to the CryptantCrab Web portal. What Makes Bitcoin Slots so Popular?